So Paris is by far the most beautiful city I've been to. Our first stop was the Sacrecoeur (translates to the sacred heart), a huge church that over looks the the west side of the city. But the view of the back of the city is just as cool too. There's all these market areas and independent patisseries and patriotic shops. 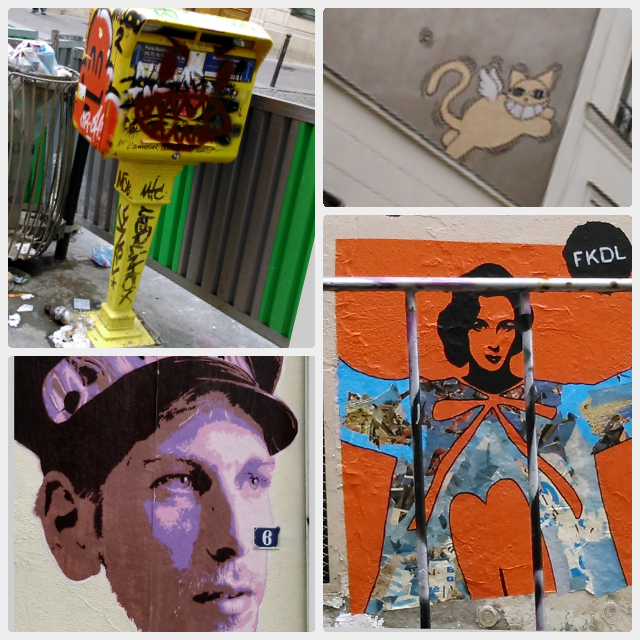 We walked along all these back roads and paths through some typically Parisian town houses that had really quirky street art all over the walls. So then we took the metro (the French version of the London underground) to the Tour Montparnasse (a very tall building) which has a perfect veiw of the Eiffel Tower! For lunch we went to this subway style sandwich bar but with really decent sandwiches. It was so great. The next thing we did was a typical touristy boat tour on the River Seine. We went right past the Eiffel Tower, The Notre Dame, and the famous Pont de l'archevêché (the bridge with all the love locks. Fun fact: theres actually around 4 or 5 bridges covered in locks. The Pont de l'archevêché was just the first to start the trend). Over all, France is spectacular. They have Orangina in glass bottles, so they've definitely got me hooked. The Gite we stayed in had two cats called Gracy and Trixy. Gracy was a very calm and sweet cat, however, Trixy was this ball of fur that would normally find its way into our car every time we opened it. 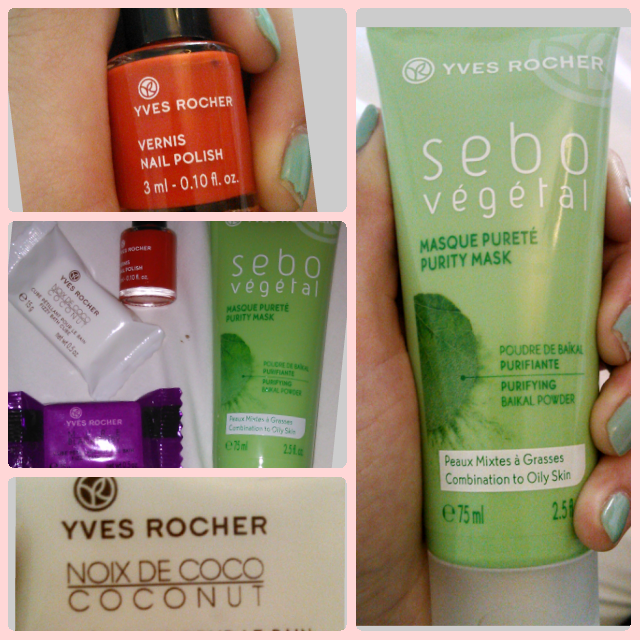 Of course, a trip to France would not be complete without a visit to Yves Rocher. I've written about this brand many times before and will continue to do so as they never let me down. One of their newest nail polishes caught my eye, this blood orange colour goes great with darker and/or pastel colours, but looks just as striking. I got the face mask that goes with the moisturiser I have, and doesn't fail to give me that matte skin it promises. Paris is one of my favorite city in this world and i love to go there with my husband for spending our summer vacations thanks for this useful information. This was a really very nice post. Thank you for sharing your experiences with us. Please do let us know more about wilson's adventures as we are all so curious.